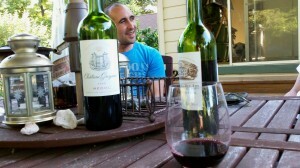 Vinopanion | Blog | Today’s Bordeaux BBQ & Le Wine Buff in France! WineLog » Blogs » Vinopanion » Today’s Bordeaux BBQ & Le Wine Buff in France! One of the best parts of being Le Wine Buff for Enjoy Bordeaux is that I get to try a lot of very wonderful, high QPR wines from Bordeaux. Indeed, all five of the Buffs have been very busy filming short tasting videos of each of Today’s Bordeaux: The Top 100 Affordable Bordeaux for 2010. Later this year we will have 100 Days of Bordeaux and debut a new tasty and affordable wine from Bordeaux each day, all hand-picked by a jury of esteemed wine experts. We had no trouble enticing friends over with promises of good food and great wine, really why would we? 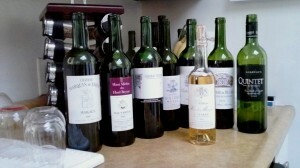 We were all taken by the level of quality in each of these wines, despite coming from many different parts of Bordeaux. They all paired quite well with almost all of the food that had that day, whether it be salads, snacks or various types of BBQ’d meats. The biggest comment that I heard was that everyone was taken with the balance that they found in each wine between the acidity (great for food), the tannin and the fruit. Myself, I was enthralled with the 2005 Château Marquis de Terme Margaux. This wine was showing beautifully that day, filled with deep black fruit, new leather and wet earth that were nicely complemented by the fine but firm tannins and the great acidity. Yum. Aside from tasty BBQ’s, exciting developments continue to take place with Enjoy Bordeaux and Le Wine Buff, my dear readers! In just a couple days I will travel to Bordeaux courtesy of the Bordeaux Wine Council along with my fellow Wine Buffs for a intensive, week-long look into the Bordelais and their wine. There we will also hook up with the crazy kids from Mutineer Magazine for some filming and background for upcoming articles in that fine mag and also complete the remaining Today’s Bordeaux 2010 tasting videos. All of the Today’s Bordeaux 2010 wines from that tasty day have been tagged with “LWB2010BBQ” if you would like to log them in your own WineLog. The photos have also been uploaded to my Flickr. I look forward to talking about my travels around Bordeaux when I get back. Cheers! 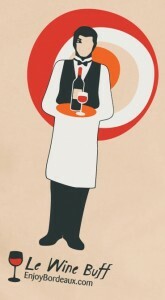 As Le Wine Buff for EnjoyBordeaux.com, I am paid a nominal fee for most of my participation. I also receive free wine samples and my participation on this trip is courtesy of the CIVB. 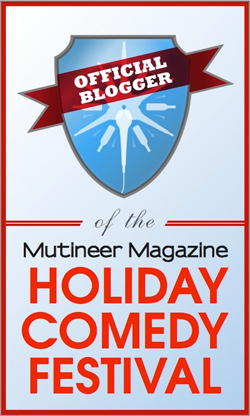 This post has also been cross-posted at the Enjoy Bordeaux Blog.